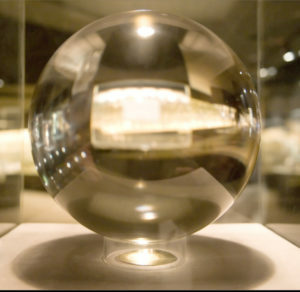 This crystal sphere is the largest cut piece of flawless quartz in the world, weighing in at 242,323 carats! It symbolizes our fascination with something so beautiful and yet so common. Quartz is found around the world, in large quantities, and is considered one of the most common minerals on Earth. It’s found in sand, dirt, and dust. 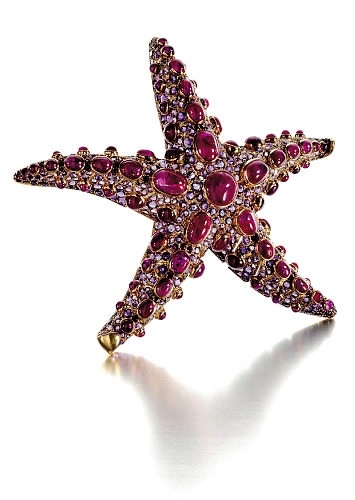 Yet, when fashioned by gem cutters and put in a stunning piece of jewelry, it can be breathtaking. Quartz is a complicated gemstone. One of the reasons it’s tricky is because the term “quartz” is used for varieties of gems, as well as for a species of gem and as a group of gems. So, for example, Rose Quartz is a variety of the species Quartz. 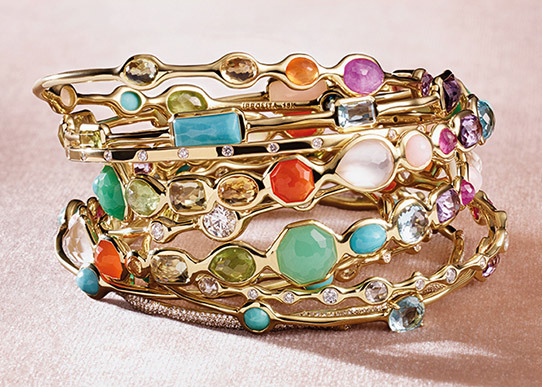 So is Citrine, Amethyst, and Tiger’s Eye! 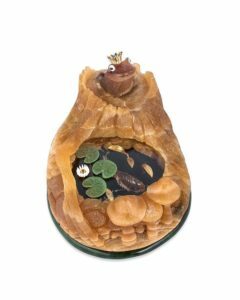 All these varieties, and others that are couched under the species of Chalcedony, such as Agate and Jasper, are considered to be members of the group, Quartz. Very confusing!! 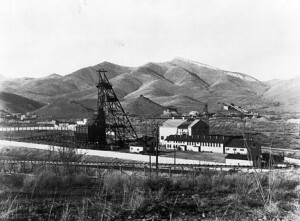 Perhaps it’s best to start with the fact that mineralogists and geologists see any mineral with the chemical makeup of silicon dioxide, SiO2, as Quartz. Regardless of whether the crystals making up that stone are large, small, or microscopic, it’s all Quartz. 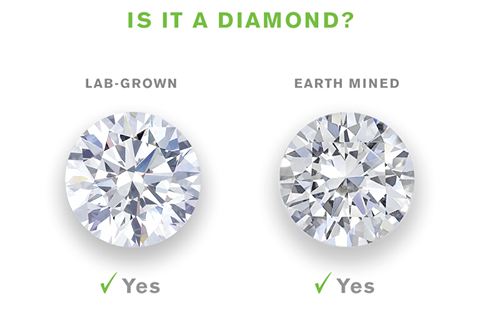 Gemologists, on the other hand, separate the gems into those whose crystals are larger and those too small to see without a high-powered microscope. Those with larger crystals are called Quartz and those with microcrystalline structures are labeled Chalcedony. Under these two species are many varieties that are used in jewelry. 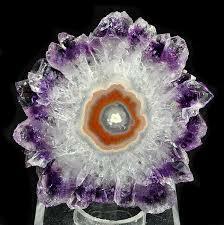 Probably the most commonly known variety of the quartz species is Amethyst. That regal purple has been admired for centuries. The purple color comes from natural irradiation acting upon a trace element of iron. The saturated, medium to deep reddish purple is the most prized color, but amethyst ranges from a light, pinkish purple to that deep purple hue. Amethyst is not rare, but the prized color is more rare because usually only the tips of the amethyst crystals have that depth of color. Agate and Amethyst, showing the deep purple tips of the quartz crystals, as well as the microcrystalline Agate, which is part of the Chalcedony species. 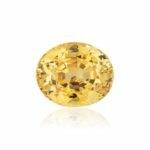 Other varieties of the Quartz species include Citrine, the orange-yellow gemstone that’s November’s birthstone, and Rock Crystal, which is colorless because it has no trace elements. There’s also Rose Quartz, Smoky Quartz, Prasiolite (aka Green Amethyst), and Ametrine (a bi-colored gem combining the purple of Amethyst and the yellow of Citrine). Members the Chalcedony species have been used in jewelry even longer than Amethyst! Agates, which exhibit wavy bands of color, were used in amulets and talismans over 3000 years ago. They were also used to make cameos. Carvers would reveal a differently colored band by carving down around the subject of the piece. 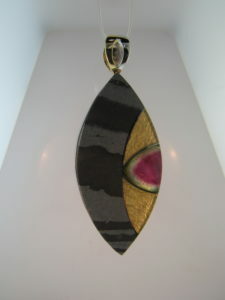 Today you’ll see agate slice pendants that are sometimes dyed to accentuate the banding. 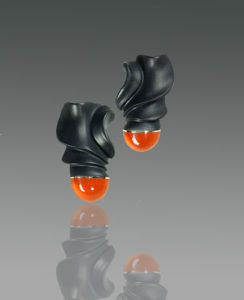 Other varieties of the Chalcedony species include Black Onyx (dyed black chalcedony), Carnelian, Jasper, and Fire Agate. 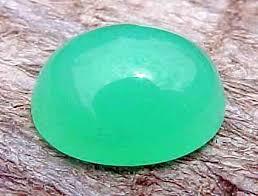 Most chalcedony is translucent to opaque, so it’s rarely faceted. Most often it’s fashioned into beads, slices or cabochons. But, just like all Quartz, it registers a 7 on the Mohs Hardness Scale, making it a good choice for rings and bracelets as well as earrings and pendants. 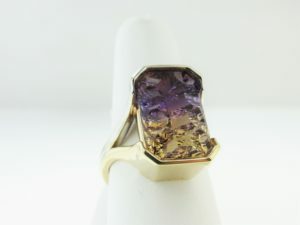 Custom-made Ametrine Ring in our showcase! 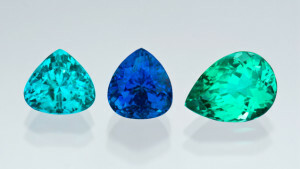 Paraiba tourmalines photographed from the GIA Collection for the CIBJO project from the Dr. Eduard J. Gubelin Collection. 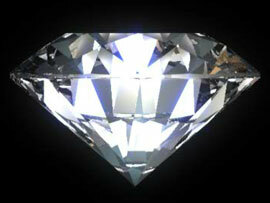 This blog is the first of a series on gemstone treatments. 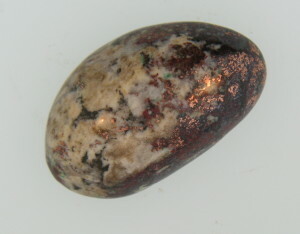 The truth is, all gemstones have been modified by man. 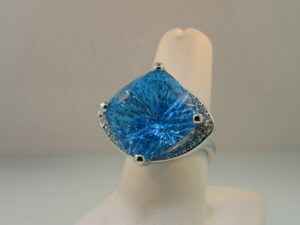 We’d like to think that a gemstone’s beauty is completely natural, but the reality is man plays a part. Cutting and polishing bring out the sparkle and color. Shaping and setting is all done by man. 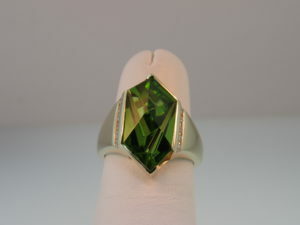 So a gemstone’s beauty can be attributed to both man and nature. Each consumer must decide what level of man’s contribution is acceptable. Everyone sees that man must be involved to some degree, but opinions vary on enhancements such as irradiation, dyeing, or fracture-filling. 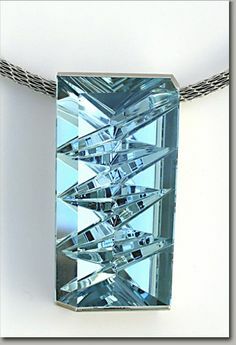 Is there a point where man’s contribution to a gemstone’s beauty goes over the fine line, when the stone just doesn’t seem natural anymore? 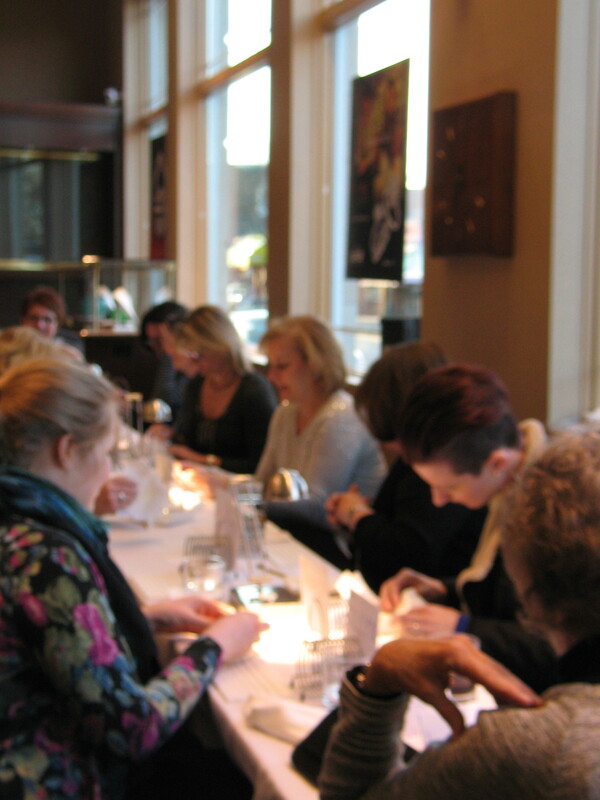 Another fine line is the one jewelers walk everyday when conversing with customers about gemstones. 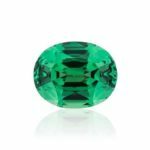 There are laws and guidelines, set by the government and the AGTA (American Gem Trade Association), for disclosure of gemstone treatments. 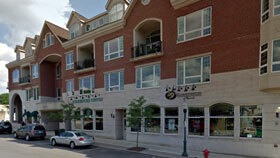 But jewelers adhering to those guidelines also have to make sales in order to stay in business. Some customers are truly interested in learning about how gemstones arrive at their beautiful state. But many would be bored by a lesson in gemstone treatments and might walk away from a sales representative who insisted on giving all the details. 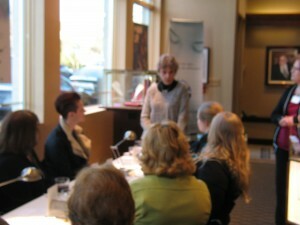 Certainly anyone who sells jewelry should honestly answer customer questions about gemstone enhancements or treatments. We want our customers to understand as much as they’d like to understand about gemstone treatments. We want them to understand that, if treatments didn’t exist, most of us would be unable to afford pretty gemstones. So that’s what the series will be about. 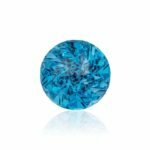 It will give you an overview of some of the main treatments on some of the most common gemstones in the market. 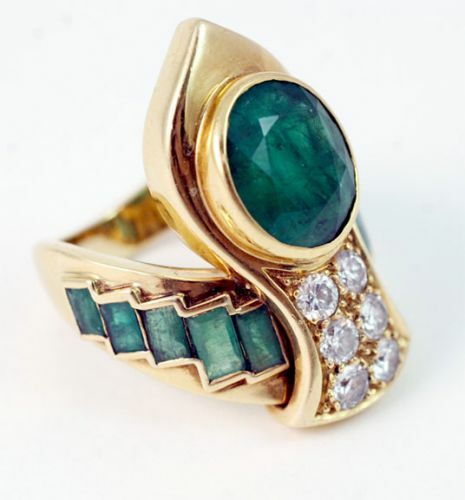 The series will also discuss some gemstones that are not treated–ONLY cut, polished, and set. If you find this fascinating, I will include some sources for learning more. 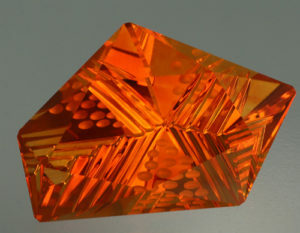 And remember, if you want to know more about the gemstone you’re buying, just ask.